Have you found your child moving and grooving around the house? Nodding their head in the car when their favorite jam comes on the radio or dancing around the grocery store even without music playing? It seems like you might have a tiny dancer on your hands! Dance is a great way for your kiddo to have fun, and is also great for their development. By signing them up for dance class you will be helping to foster their creativity, show them the benefits of a healthy and active lifestyle, have them learn important life skills such as following rules, working hard, and socializing with those around them. 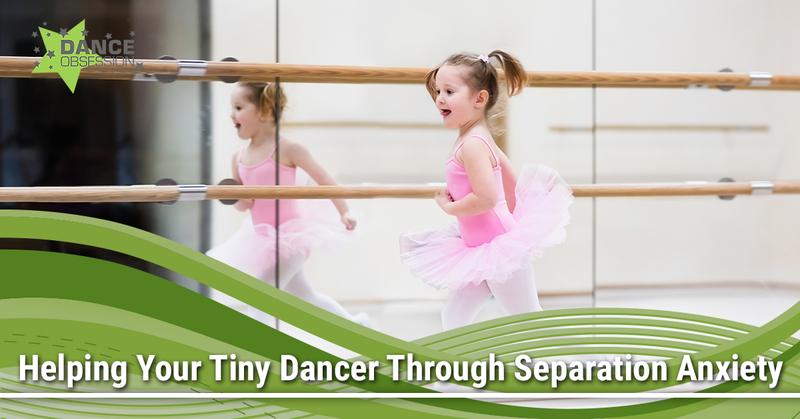 We promise you that your young one will absolutely love the kids’ dance classes that we provide in Palm Beach Gardens, but there may be a little hurdle that you’ll have to overcome when they first begin our program — missing you, of course. Especially if your child is quite young and not used to being away from your love and protection, walking into our dance studio and watching you leave can be pretty traumatic for them. And we know that it can be pretty heartbreaking for you too! 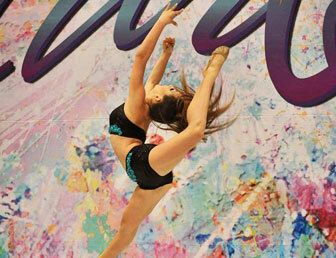 Separation anxiety won’t let them truly enjoy their time dancing, and the most important thing to us at Dance Obsession is that every one of our students is having a blast while they learn and improve their dancing techniques. So in this blog post, we’re going to provide you with a few tips to help your child get over their fear of being away from you and really embrace their dance class! The main thing for you to remember is that with time, they’ll begin to make new friends, learn new things, and look forward to their class week after week! If you would like to learn more, don’t hesitate to contact our dance studio, or go ahead and enroll them in class today! As a parent, you know that listening to your child is important, but it can also become a little frustrating at times because they don’t tend to be the best at listening to reason when it comes to their “huge” problems. 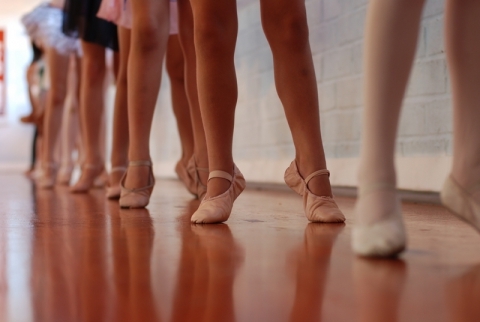 If your child is intimidated by going to dance class, don’t become impatient. Providing them with a little validation goes a long way. Stay calm and be sure to remind them how much they love to dance and how great it is going to be to work on their skills and meet new friends! Rome wasn’t built in a day, and neither will your little one’s confidence grow instantly if they’re nervous. It will take time for them to realize how much fun dance class is. Maybe even several classes. But if they are really interested in dance, we promise that they will come around. And getting over the separation anxiety will help down the road when they have to go to school. To help ease them into it, it’s important not to just drop them off and drive away. Showing up early is a great way to get them comfortable to the environment, and will give you an opportunity to calm them down with a little pep talk and to let them know how proud of them you are. Along with showing up early to drop them off, make sure to be there to pick them up when you say that you will be. It certainly won’t help with their anxiety if they’re the last one picked up from our dance studio. Maybe the most important thing that you can do is encourage them to pursue their interest in dancing as much as possible! Have them tell you what they learned during their last class, and then have them teach you! If they see how proud of them that you are with their improvement, and how happy it makes you that they’re working so hard, then we guarantee they’ll look forward to showing you all of their new moves and won’t want to wait to learn more! The entire staff here at Dance Obsession is dedicated to helping teach our students the fundamentals of dance and to show them how to reach their full potential. But their enjoyment is always at the forefront. Dance is fun, and we want every student to be having the time of their life! Our dance teachers will do everything they can to help your child grow and get over their separation anxiety, so be sure to talk with them! Give them a little heads up of your child’s apprehension, fill them in on some of your child’s personality traits and work together to come up with a plan that will help your child get comfortable without you near. If they are truly dreading their dance class, don’t force it. It’s just not the right time! We’ll always be here when they are ready! And who knows, maybe they will jump right into our program and realize immediately that dance is awesome! If you would like any further information about the kids’ dance classes that we offer in Palm Beach Gardens, would like to tour our dance studio, or would like to sign up today, feel free to contact us today! We offer classes for complete beginners up to our competitive dance team and would love to have your child join our dance family!